Spending time in Mendoza, Argentina promises two things – copious amounts of Malbec (the local red wine) and plenty of outdoor activity. Readers of this blog will know that sharing a bottle of vino and exploring the great outdoors are two of my favourite things – needless to say, I was looking forward to our three days there. Hostel Lao received rave reviews online, and it definitely lived up to expectations. On our first night we were treated to their infamous meatballs and Argie steak. It was heaven to traveller tummies who hadn’t tasted home-cooked goodness in many months. 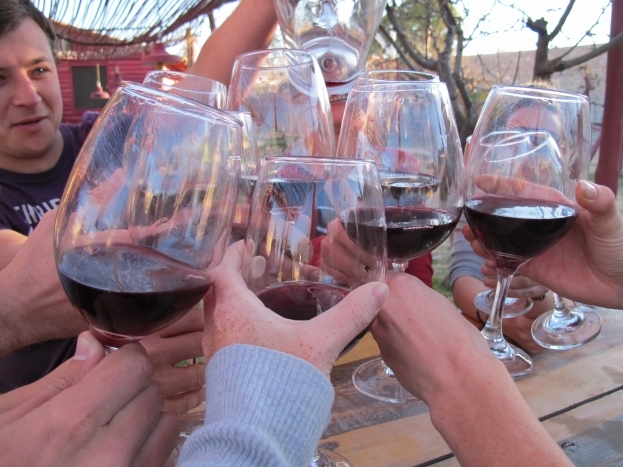 Over bottles of Malbec, we chatted with the other guests and all decided to do a cycling winery tour the following day through the Chakra region, about an hour drive from Mendoza. 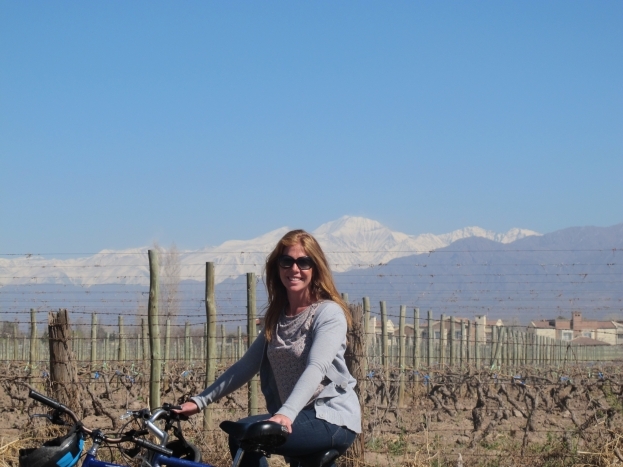 The day was spent cycling along country roads, with the snow-capped Andes in the distance, stopping at different wineries to taste a variety of reds, liqueurs and chocolates. The grapes weren’t in season, so the scenery was a bit sparse, but that wasn’t enough to detract from the magnificent mountains that surrounded us. 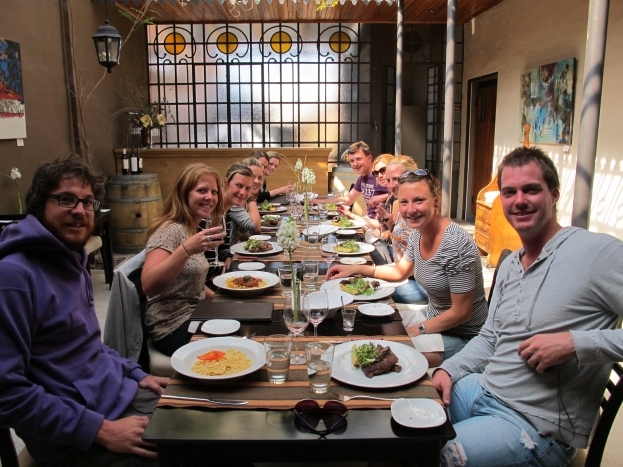 In the morning we learnt about how the local vinyards harvest their grapes and create their wines, before we stopped for a delicious Argentinian lunch. 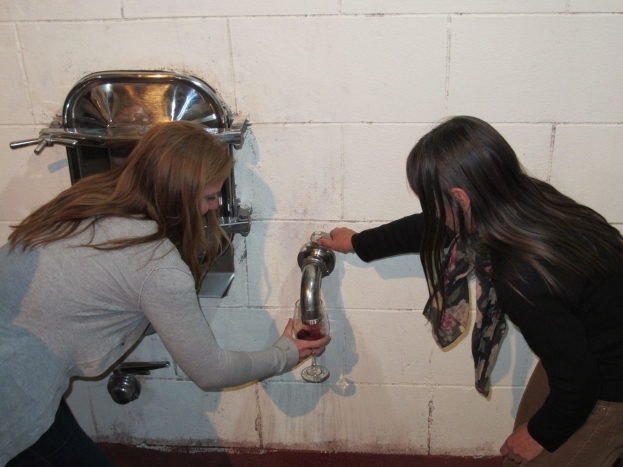 The day ended as all good winery tours should – with 10 sozzled tourists sporting black “monster mouths”, drinking wine in an underground cellar straight from the barrels. As you can probably imagine, it was much easier riding the bikes at the beginning of the tour than the end! 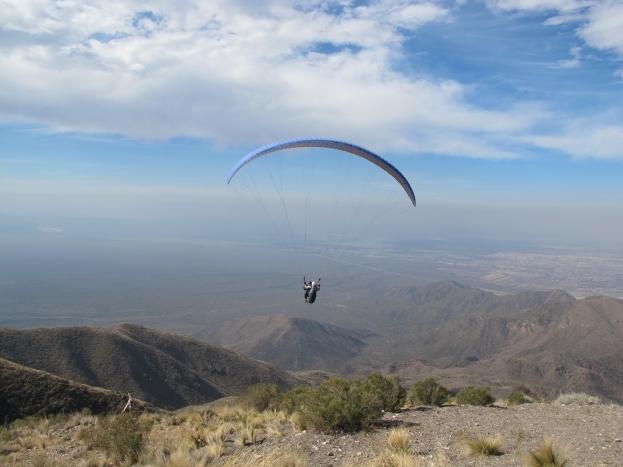 The next day, my partner Joel felt the need to get up close and personal with the Andes, so he booked us into paragliding. 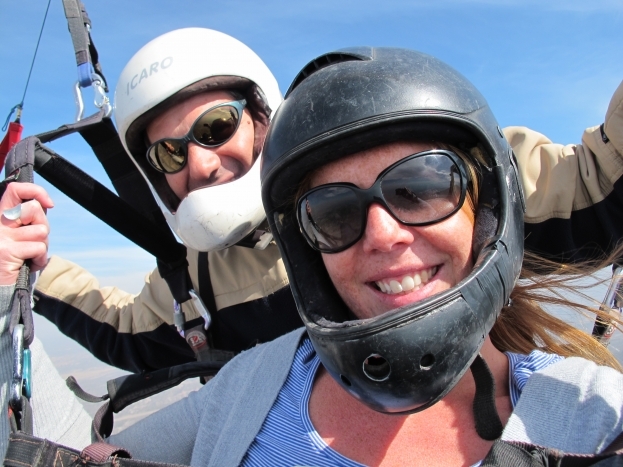 They say there’s no better way to see the Andes than flying above it, with the icey wind breezing around you. It was ridiculous fun and actually a lot less scary than I had anticipated. Although Joel, who’s not all that comfortable with heights, did wonder what he’d signed himself up for as we were 4WD-ing up the mountain to the launch spot 800m high! Next we drive over the Andes to Chile – stay tuned.